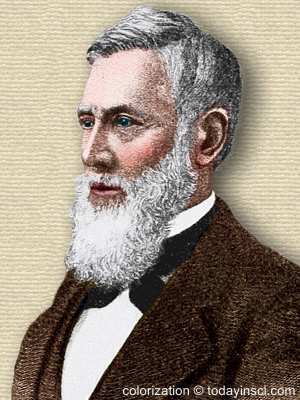 American botanist who extensively studied North American flora. 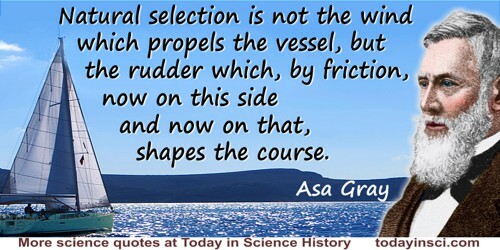 He was an early and strong supporter in the U.S. for Charles Darwin’s theory of evolution. [Concerning the former belief that there were no genetic connections among species:] This view, as a rounded whole and in all its essential elements, has very recently disappeared from science. It died a royal death with Agassiz. From lecture 'Scientific Beliefs', as published in Natural Science and Religion: Two Lectures delivered to the Theological School of Yale College (1880), Vol. 3, Lecture 1, 35. …the longest-domesticated of all species, man. 18 Nov - short biography, births, deaths and events on date of Gray's birth. Asa Gray - by Charles Reid Barnes, from The Chautauquan (1907).